We know how difficult shopping for aromatics online can be. That's why we've put together the complete Pure Perfume Oils absolute incense sample pack. Discover your favourite fragrance. This sample packet contains 2 labelled sticks of all in stock absolute scents, currently 38. 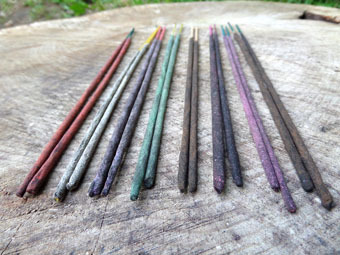 76 sticks of incense in total. Agarwood, Agarwood & Rose, Agarwood & Saffron, Agarwood & Vanilla, Amber, Bakula Flower, Black Sandalwood, Blue Lotus, Cedarwood, Cinnamon, Frankincense, Frankincense & Myrrh, Frankincense & Rose, French Lavender, Golden Champa, Green Champa, Indian Flower, Jasmine, Madagascan Vanilla, Myrrh, Nag Champa, Nepal Musk, Night Flowers, Parijata Blossom, Patchouli, Pavitra Vastu, Pink Magnolia, Pink Jasmine, Pink Rose, Rosewood, Rose & Cedarwood, Rose & Patchouli, Rose & Saffron, Rose & Sandalwood, Rose & Vanilla, Saffron, Sandalwood, Sandalwood & Lavender, Sandalwood & Saffron, Tuberose, Wild Flowers and Yellow Rose. 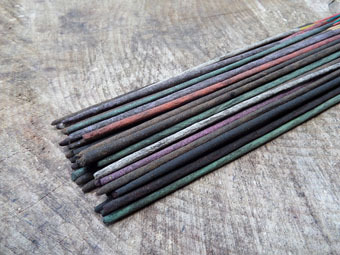 Absolute is the term given to our highest grade, award winning masala incense range. It's made using a much higher quantity of oils, petals and resins, with less base ingredients. 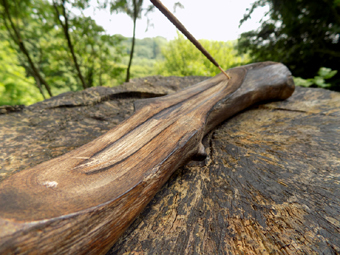 This gives the incense a richer, deeper and more vibrant fragrance, more true to the individual varieties. 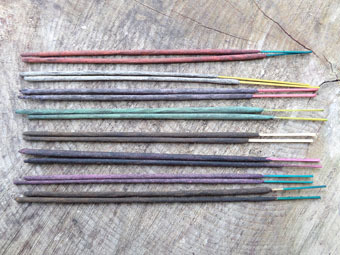 This incense is only made in small batches, due to the special hand rolling technique and the expense of the oils.